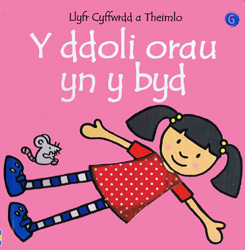 Written entirely in Welsh, this book has been developed especially for the very young, with only one simple sentence on each page. This book is written entirely in Welsh with no English translation or pronunciation guide as it is intended for native users. The language is fairly simple as it is aimed at young children.